Concept: 100 youth representatives from the Mekong region have joined the campaign to save the Mekong River from a series of hydropower dams that threaten the region’s food security. Mekong countries have different political systems, and in many counties such as China (especially Tibetan regions along the Mekong), Laos, Vietnam, and increasingly Thailand, there is little space for public participation in development planning. Activists advocating for increased human rights, environmental protection, and the rule of law often face threats to their security, and access to information on these topics is extremely limited. 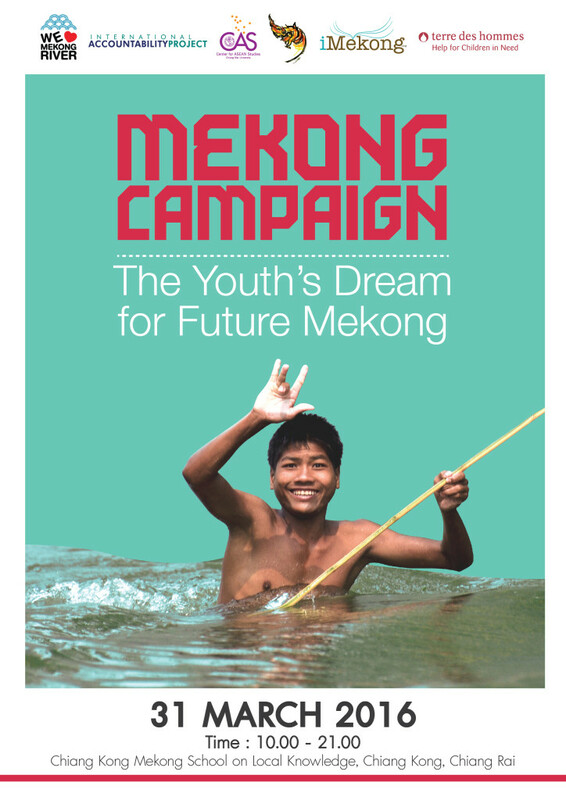 It is thus crucial to provide space for Mekong youth to join together and campaign around the issues that are affecting their communities. .
To promote exchanges, intercultural meetings and debates between young people and various stakeholders on the Mekong River and other issues in the Mekong Sub-region. To build the advocacy and campaigning capacity of Mekong youth and to promote youth involvement in building an ASEAN community based on respect for human rights and the environment. To raise the voices of youth in the Mekong region to advocate for stronger environmental and human rights protection and to build awareness on Mekong issues.